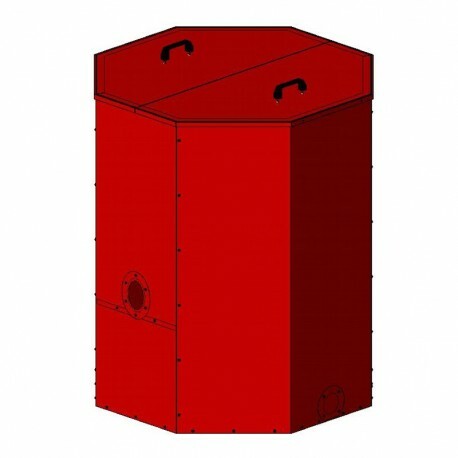 Pellet hopper Atmos 1000 l (650 kg), diameter: 1040 mm, height: 1250 mm. The biggest size pellet container suitable for boilers with output up to 50 kW. Pellet hopper contains 650 kg of pellets which means approximatly 2925 kWh. The container is intended for storage of pellets for automatic pellet boiler. Pellet hopper positioning within the boiler room is very flexible.